Christmas is coming soon, shops are getting busier and cheesy songs are on auto-repeat. The dreaded Christmas shopping experience isn’t getting any easier. I would like to think that as scuba divers and freedivers, we share a special bond with the ocean and that we try to bring environmental awareness into our daily life choices. 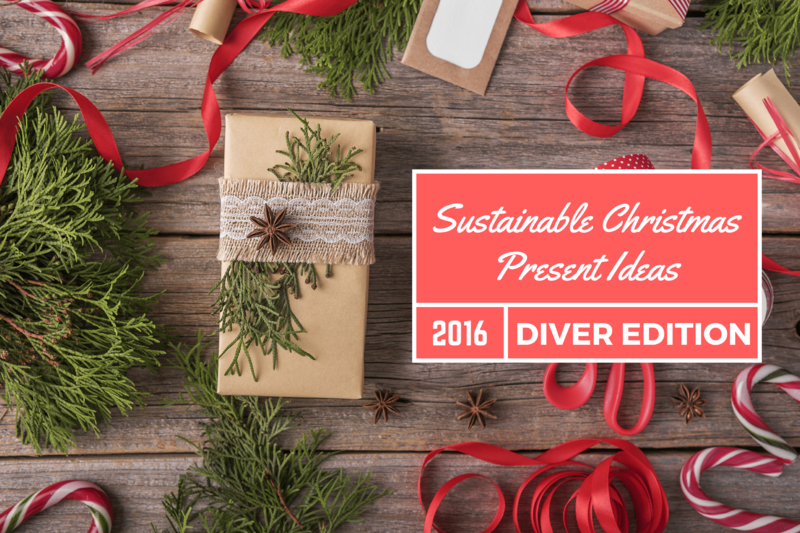 Here are some sustainable ideas for the ocean lover in your life. 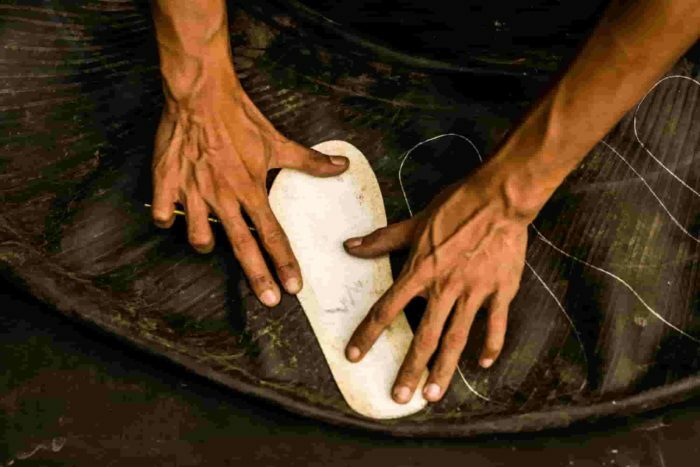 Indosole makes sandals and shoes from tires. The company was started by Kyle Parsons, from San Francisco, after visiting Bali in 2004 and witnessing a landscape littered with old tires. He recently appeared on TedxUbud, where he spoke about how consumer habits can be ethical and sustainable. Suga Yoga Mats are yoga mats made from old wetsuits and are made in the USA. If you buy The SugaMat C2G (Cradle to Grave), you can get a free replacement should your mat ever wear out, and standard mats come with a 30-day warranty. Bureo started off by making skateboards from old fishing nets, but they now sell bamboo utensil sets, sunglasses, t-shirts and gift cards. Divesangha makes clothing, ponchos, dry bags and rash guards from Econyl (recycled fishing net and carpet) and they don’t use plastic bags as packaging. You get a free dry bag with your first order. Prawno Apparel, founded by photographer Lia Barrett and business partner Claudia Wilcher, use recycled plastic bottles and fabrics with hand-printed designs. Lia uses silhouettes of marine life and freedivers as inspiration for her t-shirts. 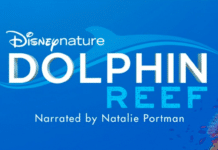 A portion of their profit goes towards marine conservation and education organizations. Lia appeared on TedxNashville to talk about the connection between humans and the ocean. 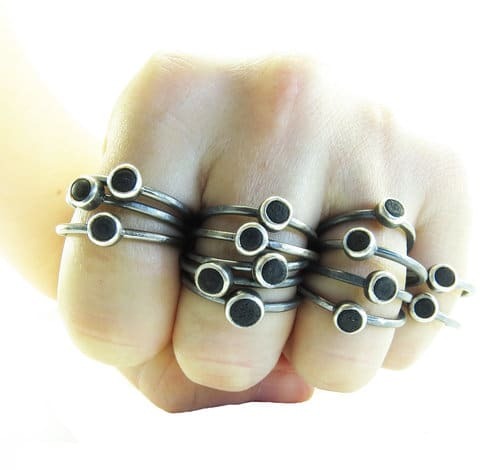 Kat Crabill uses ocean plastic and recycled sterling silver to create beautiful jewelry pieces for Nurdle in the Rough. There’s even a special ring for those who are unhappy with the outcome of the recent elections in the USA. Ten percent of sales goes to the Hawaii Wildlife Fund. Many divers are also surfers. 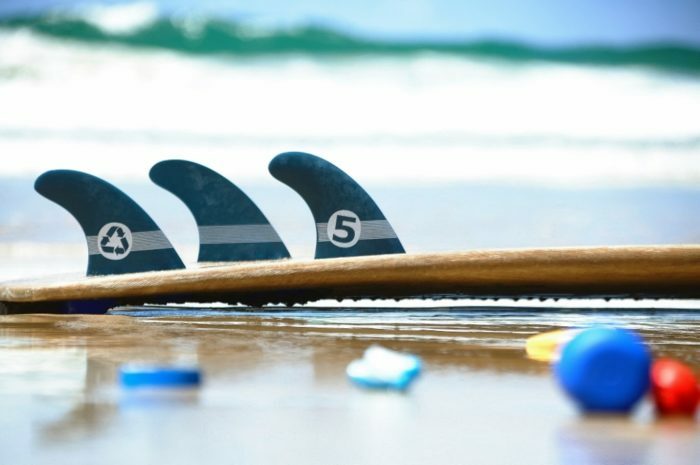 Five Ocean’s Ecofins are made from recycled waste collected on Bali’s beaches. They are 15% lighter than similar fins found in the market. Ocean Positive is a swimwear range by diving technical wear company Fourth Element. OceanPositive is made using recycled nylon from “Ghost” fishing nets, abandoned by fishing vessels after snagging on reefs and wrecks. 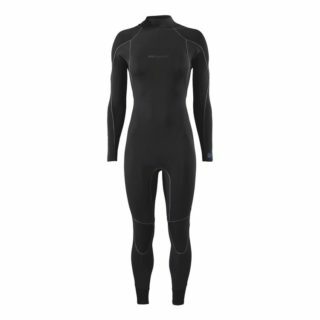 Finally, a wetsuit that is made from tree rubber instead of non-renewable neoprene. Patagonia has come up with the Yulex. 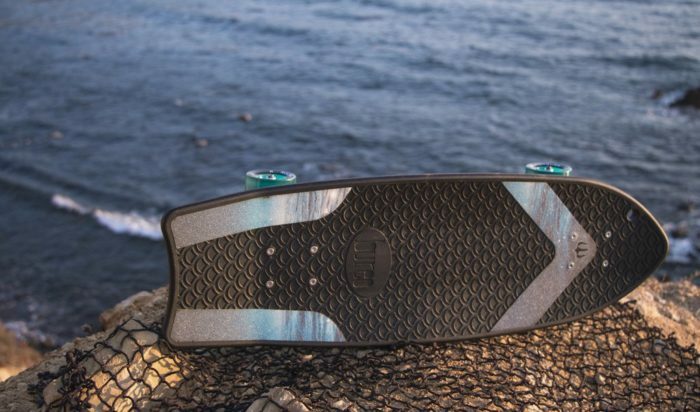 According to the website “Using natural rubber in place of nonrenewable, energy-intensive neoprene means up to – 80% less climate-altering CO2 is emitted in the polymer manufacturing process.” That is great news. Right now, the range seems focused on surfing, but hopefully, they will diversify into the scuba and freediving markets soon. 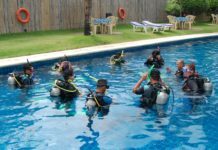 We definitely need the industry leaders in the scuba, freediving and spearfishing industry to jump on the sustainability bandwagon. Hopefully, someone will make nose clips, fins and GoPro handles out of recycled plastic soon, in time for next Christmas. Past life: scuba instructor. English teacher/ freediver. Author of Wayan and the Turtle King, a children's book on the effects of plastic on the marine environment. “Hater of plastic”, you say. In your profile picture you seem to be in comfort with plastic. fins, suit, mask, neck strap, the camera housing maybe… And, if you mean hater of “plastic”, thats just lame.